Music lover? Looking to play and download the latest charts, hits or albums? Dive into a world of sound with the Deezer music player app. Explore top songs by genre, like hip hop, pop or rock, or use Flow to discover new music picked to suit your music tastes and mixed with your favorite tracks. Whether working out to pop music, or commuting while you play rock, enjoy streaming over 53 million songs - including the latest hits. You can even upload your own MP3 library. Get personalized tunes and recommendations, live radio stations, sports, podcasts, plus all of Deezer’s music and audio Channels for every genre! Tell us what music you like - any song, album, or genre - and Flow will help you mix your music with new discoveries based on your tastes. One click, and you start streaming your all-time favourite songs from the vinyl records, cassette tapes, compact discs or MP3 files of your childhood, alongside all the best new chart-topping hits you could want. 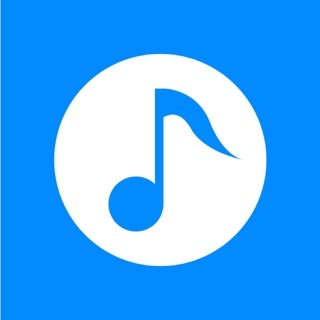 Find practically any song, album or artist, and enjoy unlimited music for free with ads. Have original taste when it comes to music? Play any song from the latest pop hits to death metal - audio streaming with the Deezer music player app is easy. Download Deezer today for unlimited, easy music streaming! Deezer Premium is a subscription service with a monthly charge. Renewal of your monthly Deezer Premium subscription is automatic. A mini player will now be displayed on the bottom of your screen, so that you can easily play, pause, like a song or go to the next track. The background color of the full screen and mini player will now continually change to match the album art of the current song. The Lyrics button on the full screen player has been moved from the center to the bottom right corner of the album art. We've changed the tab bar from black to white. We've switched the Flow and My Music tabs. Absolutely terrible!!! Don’t waste your money or sanity!!! I had a premium subscription for months and then I started having problems where it signed me out and didn’t recognize my premium account even tho I was getting charged so I cancelled my subscription. They charged me for 10 months after and this is including after I tried went to my bank and had them unauthorize the payments there and still got charged. Tried to get in touch with them for a refund and to cancel and they won’t refund me because they say it’s my responsibility to cancel. Their have no phone number and a series of useless articles before you can message for help. The response time is a joke and the so called service is disgusting! They were rude and shady. They said they wouldn’t refund me but asked for the credit card number. They did nothing to try to resolve anything and then just threw out my complaint. They will rob you and then put you through hell and you will get no where if you have an issue. This company is a disgrace. Don’t waste your time on these people since they won’t waste any of their precious time on you. Deezer is by far the best music app I’ve ever used, I’ve used the majority of the music apps available and this app has yet to disappoint me. Any song I look up...its there...obscure artists...there...from the oldest to the newest, I have yet to search for something and not be able to find it. Not only that, it plays what I want, when I want to hear it and lets me skip however many times I need to...no ads, no commercials, no interruptions! But the BEST part about Deezer, for me, it is the easiest music app to add a song to your overall “favorites” as well as individual playlists. Other music apps, even when you’ve paid to subscribe, seem to have way too much tech going on and not enough music available...Deezer Rocks!! I was somewhat of a fan of Deezer quite some time ago because of the awesome sound quality. But the shortcomings then were that songs CONSTANTLY repeated whether playing the Flow or other streaming stations. I tried Deezer multiple times but it continued to have the same problems with songs repeating. Recently I decided to give Deezer another try. “WOW” is all I can say. After a few days of my thumbing up and thumbing down songs, it plays great music personally that I want to hear. It covers all sorts of music and the sound quality is better than ever! I have tried EVERY music streaming service extensively and at the moment this one is the winner. The user interface is also excellent. Deezer just updated some of their features and it is even better! They now have different “Flows” instead of a single “Flow”. They are based on tracks liked and are similar to Spotify’s “Daily Mixes” but better. It would be great if Deezer jumped on the bandwagon and added an “Explicit” song block. This filter has popped up on some of the other streaming services. It would also be GREAT if the Deezer app remembered exactly where you left off when you start Deezer back up.